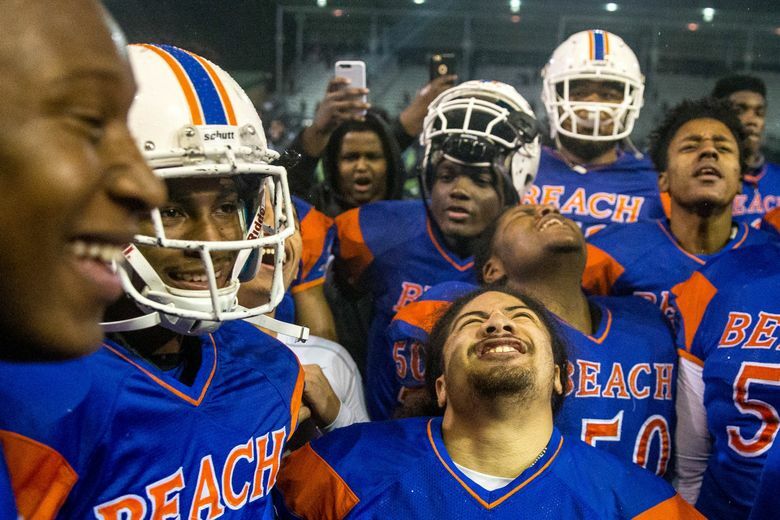 Rainier Beach advances to its first state title game and will face O’Dea on Friday night. 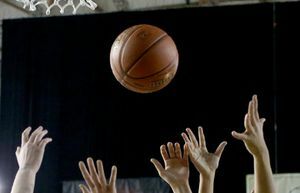 The Vikings pulled away from Garfield in the second half to win their semifinal 49-21. 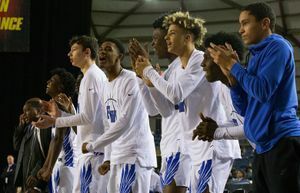 The Rainier Beach basketball team is a mainstay at the Tacoma Dome. Now, it’s the football team’s turn. 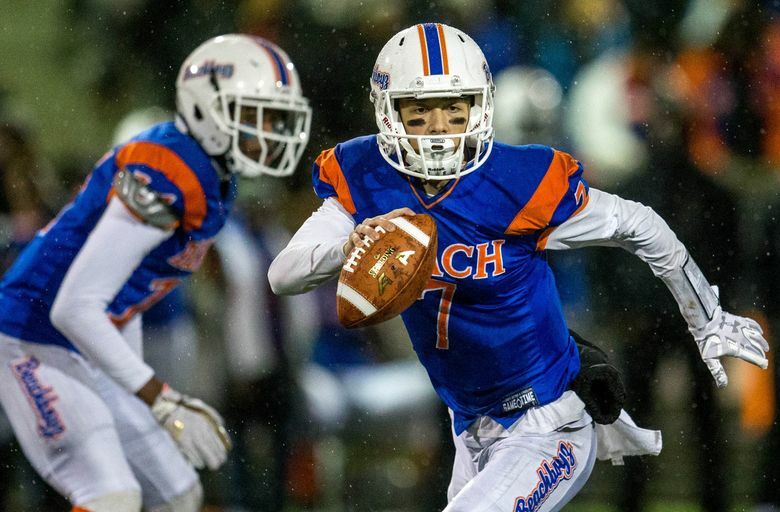 For the first time in program’s history, the Vikings are headed to the state-championship game after Beach dominated Garfield 49-21 in an all-city Class 3A state football semifinal Saturday night at Pop Keeney Stadium. 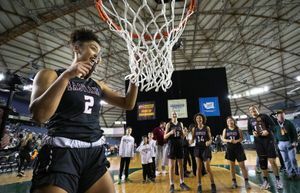 The Vikings will face O’Dea (11-1) in the title game at 7:30 p.m. Friday at the Tacoma Dome. 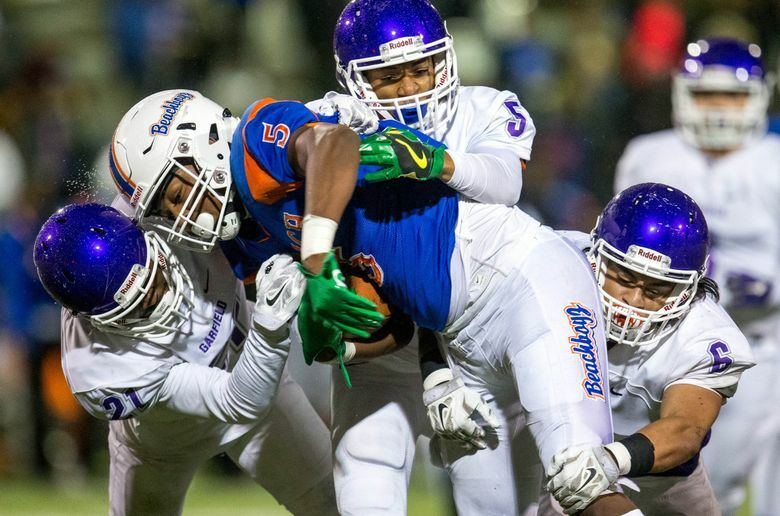 Saturday’s contest was the first time two Seattle Public Schools faced off in the state semifinals. 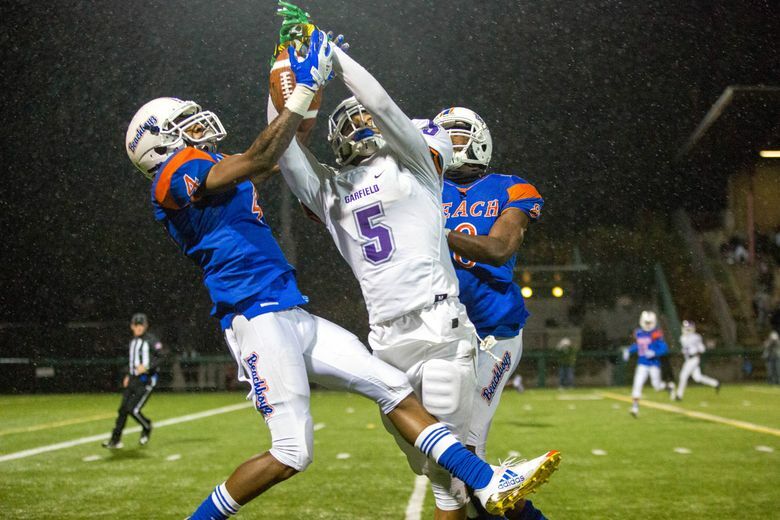 It was a close affair for the first half before Rainier Beach (10-2) began to pull away after the break. The Vikings scored 28 unanswered points in the final two quarters before a late score by Garfield (7-6). Jarious Jones and Max Nall led the way for the Vikings. Jones had 109 yards and a touchdown on 15 carries and led a potent Beach rushing attack that included 85 yards and two touchdowns from Freddie Roberson and 72 yards and a score by Xzavier Burton. Nall kept the Vikings balanced, completing 15 of 24 passes for 212 yards and a touchdown. The senior, who transferred from Garfield after last season, added 10 carries for 52 yards and another score on the ground. The Beach defense also shined with seven sacks. The first half was a defensive struggle with a lot of penalties. On one Beach drive, there were penalties on five consecutive plays. Beach got on the board first with a score by Roberson. 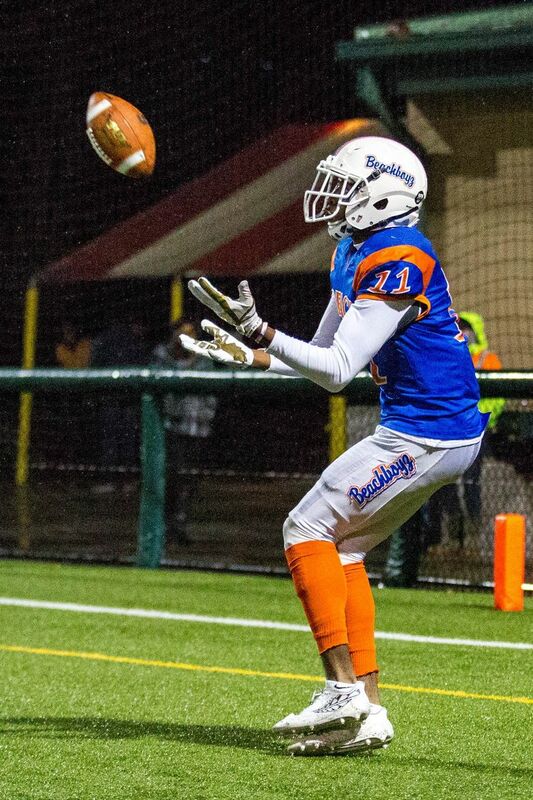 Garfield wide receiver Tre’Shaun Harrison caught a 39-yard touchdown pass from Javon Tade, but Nall’s two scores helped Rainier Beach to a 21-14 lead at halftime. 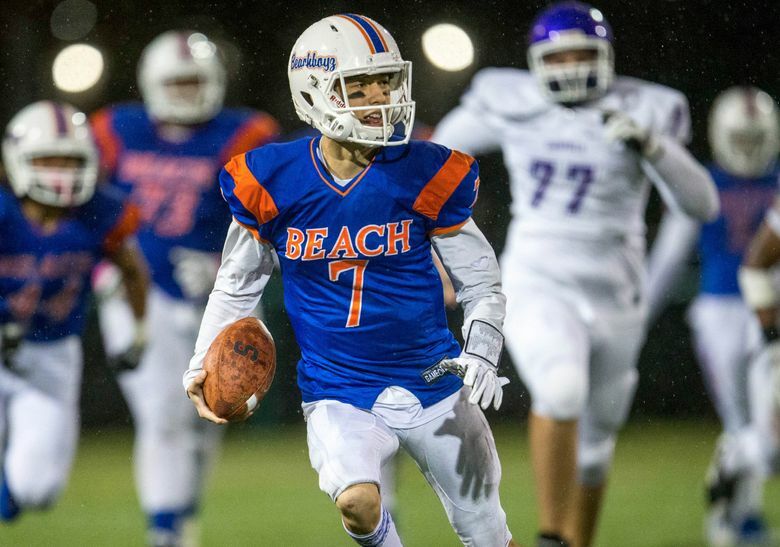 Beach defeated Garfield 27-12 at Memorial Stadium on Oct. 6. The next week the Vikings lost to O’Dea 49-28, with Beach missing five starters. The Vikings will get a chance at redemption when they face the Fighting Irish. “We know what they’re going to do, we just have to go out there and stop them,” Nall said of the Irish’s high-powered offense. “We have to play some tough defense. … We know that we can compete with them.